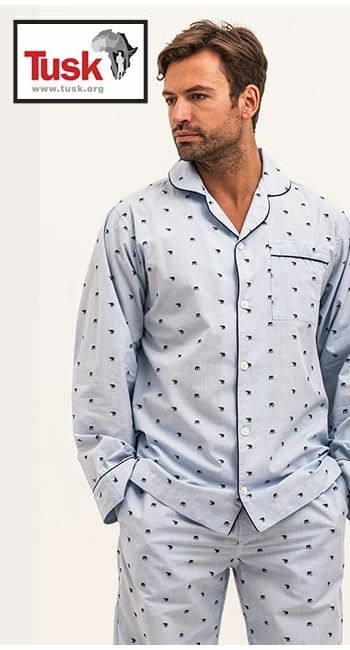 These striking pyjamas feature a fine blue and white stripe with a charming elephant jacquard woven into the fabric. Finished with real shell buttons and navy piping. Available in two leg lengths. 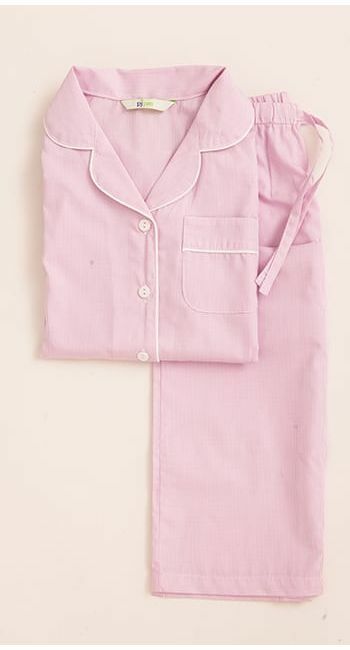 This fabric also appears in the children's and men's collections.